It’s no secret that streaming on Twitch in 2019 can lead to a full time career for the select few. To get to the top you don’t have to just be entertaining but consistent streaming daily when you are just starting out. Again that will only get you so far and without a high-quality setup, it’s a well known that your viewers won’t stick around for long. Having a face cam allows your viewer the chance to get to know you a little bit more and the better your webcam is the clearer your face will be. What is the best webcam for twitch though? In this post, I will share some of the best so that you get the best quality for your twitch streams. I recently came across this new webcam after I finished watching one of my friend’s stream. I was shocked at how great the lighting was on his stream, and it almost looked like he was wearing makeup. I asked him what lights he was using and was even more surprised when he said he was only using a Razer webcam with a built-in ring light. The RZ19 is the world’s first to do something like this, and they have managed to do it at quite a low price point. This perhaps does come at the expense of other things like overall image quality which is pretty average, and it seems like they haven’t invested in the software side of things either. Without a doubt, the stand out feature on this webcam is the ring light, and everything else is pretty much just average. Technically you could buy yourself a cheap average webcam and buy a separate ring light, but the RZ19 makes everything so much easier by only requiring one cable to be plugged in and a super simple set up by just placing the webcam on top of your PC. 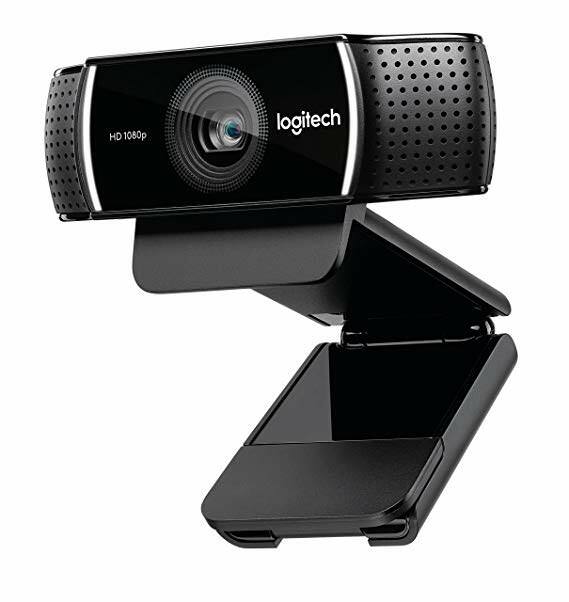 Without a doubt, the best webcam for Twitch right now has to be the Logitech C922x as this Pro Streaming version of this C9220 webcam was literally made for Live streamers. This webcam will allow you to record at 30 fps and of course at 1080p which is almost standard now for good quality webcams. If you have a windows PC then this webcam actually comes with built-in Personify background removal technology that will allow you too integrate your facecam into the stream which is one of the best features for Twitch streamers who own this webcam. This webcam comes with two in-built microphones but the sound quality isn’t as good as a standalone microphone so don’t buy this is an audio recording alternative. It comes with autofocus which can be a bit annoying sometimes when if you are moving around a lot and it is constantly refocusing but it is actually possible to turn this off. It also comes with an auto light correction which works really well for streamers in dark settings. If for some reason you don’t like the Logitech brand then this Besteker brand is another good option. It’s quite likely you won’t have heard of this brand, but their webcam is now becoming a more popular choice with Twitch streamers and for a good reason. This cam believes it or not can record in 1536p which is higher than the Logitech cam and also has a similar auto light correction system for dark settings. 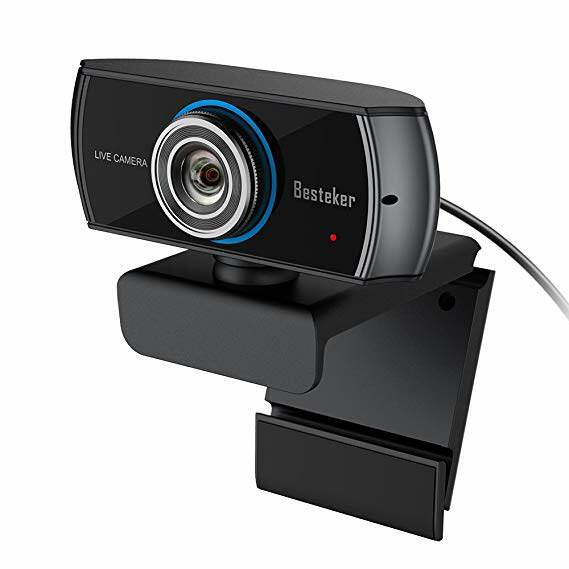 This webcam wasn’t made for streamers but more for a wide range of things like meetings and for recording videos which is why it has a built-in video compression tool. It does, however, works with both window and mac and can without a doubt be used by Twitch streamers. It has an inbuilt microphone which is quite good as it is has a noise cancelling device built in which means it should only pick up your voice. You definitely should not buy this as a substitute for a microphone if you are planning to go pro on twitch as your viewers will take notice of the low sound quality. They will, however, be impressed with the high-quality wide-angle face cam you can stream for them and no doubt they won’t care at all that you are using a lesser known brand. The truth is that getting a super cheap webcam is a bad idea and will make your stream look super scuffed but at the same time you don’t need to use the most expensive webcam in existence. Anything that records in 1080p or higher is good enough for you viewers to appreciate your streams and not drop off. The webcams that featured in this guide are more than capable of doing everything you need and more. You will be able to record your face in high quality with no lag. The only thing is that you if you are using a webcam, don’t use it as a microphone and use it for what they are good at (recording your face). If you want a microphone for your twitch setup, then you should get the best microphone, and you can find that by reading a guide I wrote that shows you the best gaming microphones. I will update this guide whenever new webcams are released. Looking for a green screen for twitch? check out our other guide that is now up to date for 2019.